This lot contains an 8x10 photo signed by Ray Davis in blue marker. 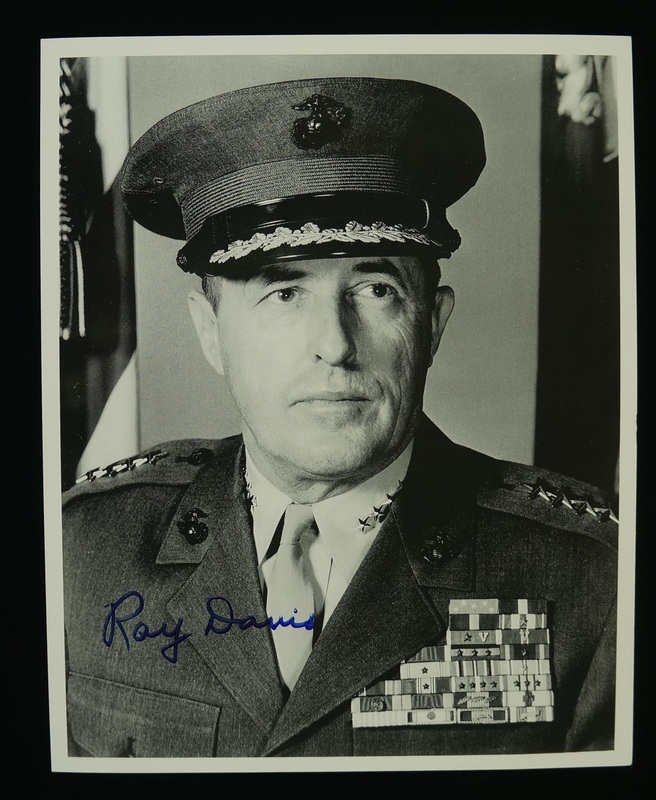 Davis was a United States Marine Corps four-star-general who had served in World War II, the Korean War, and the Vietnam War. Davis was decorated several times, he was awarded the Navy Cross during World War II and the Medal of Honor during the Korean War.